Somebody has organised a piss-up in a brewery. 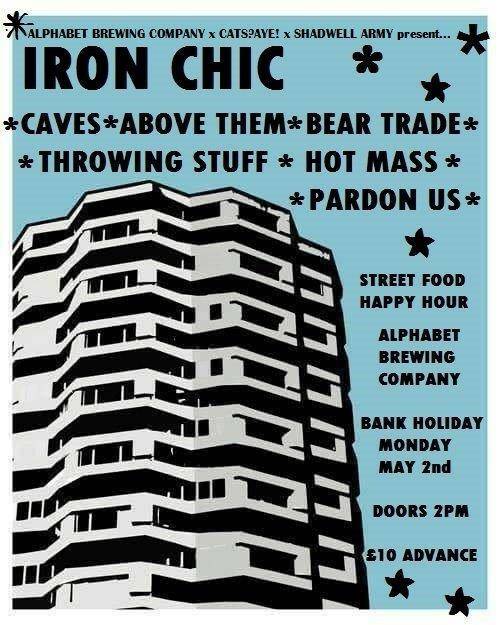 Iron Chic will be there. So will Caves, Above Them, Bear Trade, Throwing Stuff, Hot Mass and Pardon Us. It will all take place at Manchester’s Alphabet Brewing Company on the 2nd May 2016. Tickets and further details available here.